Sherry Sierra was born and raised in Northern Virginia where she was gainfully employed for 14 years as Director of Marketing for Senior Living Communities, working with internal sales and external marketing departments. Sherry was extremely active with the local Chamber of Commerce, Alzheimer’s Association, and Business Exposure Group (BXG), a worldwide networking organization, for which she served the local chapter as treasurer for 3 years. Sherry received an award from BXG for demonstrating an outstanding business ethic as well as social responsibility within her community. In 2005 Sherry moved to Cape Coral accepting a position in Sales and Marketing with Gulf Coast Village, a well-known independent senior living community. She was responsible for all outside marketing presentations, community events and visiting physicians’ offices. Sherry became very active with the Cape Coral Chamber of Commerce, quickly building her professional network. Simultaneously, Sherry worked part-time for a local restaurant in the prestigious community of Cape Harbour for 7 years. At the turn of the economy in 2007, Sherry was recommended for a position as Assistant Harbour Master for the Marina of Cape Harbour. As a result of her strong work ethic and high standards, she was promoted to Office Manager and Bookkeeper for Realmark Management Services, the exclusive property management division of Cape Harbour. Her responsibilities included overseeing eight homeowner and condominium associations, representing more than 560 homes. In 2009 Sherry obtained her Florida Community Association Manager License (CAM). Over the years, Sherry has worked with many Miloff Aubuchon team members as she was the primary point of contact for all Cape Harbour Association related questions, new owner orientations, and many local community events. She also found her family’s first home on the company rental site! Sherry’s quest to improve herself continued as she obtained her Florida Sales Associate License in 2014. 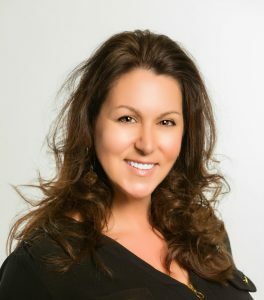 As a result of her work ethic, friendly personality, and solid relationships with many Miloff Aubuchon team members and within the community, Sherry was highly recommended for the position of Assistant to Terry Mell, one of Miloff Aubuchon’s top producers who focuses on the Cape Harbour community. Sherry enjoys being a part of the Miloff Aubuchon family! Her experience and local market knowledge gives her the edge when it comes to fulfilling her client’s real estate goals. On a personal note, Sherry has three wonderful children and a dog named Lucky she rescued 15 years ago – one lucky dog with a great family. In her spare time, Sherry loves going to the beach and enjoys boating. Contact Sherry, 239.541.3708, or via email, ssierra@teamaubuchon.com when you are ready to make your next move!